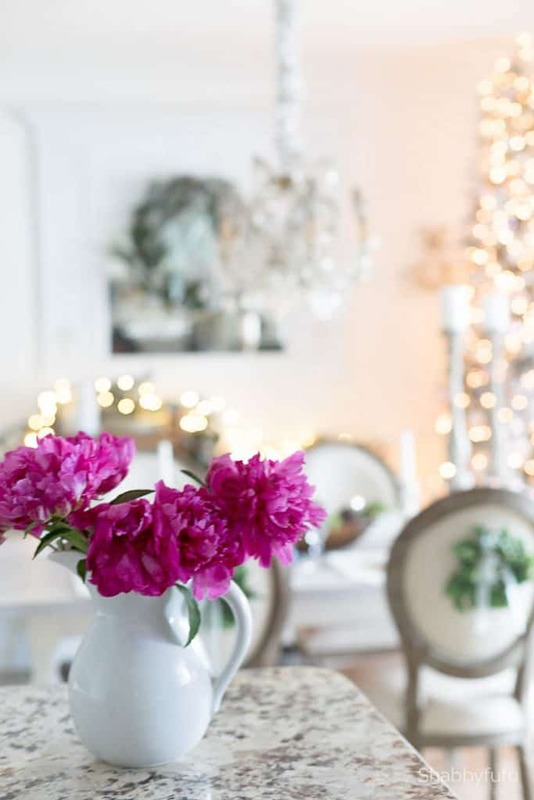 Holiday table ideas on a budget are something that I talk about (and do!) often. 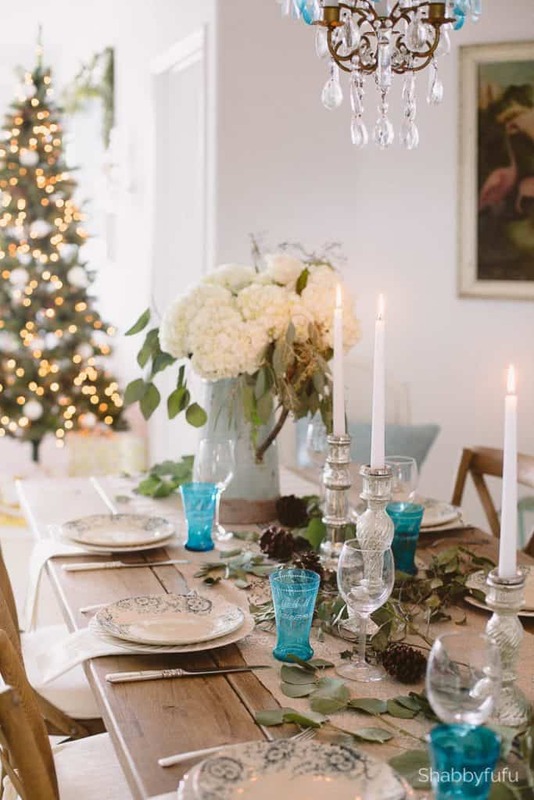 With the holidays here and our homes bedecked and festooned, many of us are either hosting gatherings or attending get togethers with friends and family. It can be stressful on the purse strings at this time of year and at a time when we are winding down our gift purchases, entertaining can still be budget friendly. As a seasoned hostess I have some money saving tips today that I think you’ll enjoy. I am participating in a Holiday campaign for AARP Services, Inc. I am receiving a fee for posting; however, the opinions expressed in this post are my own. I am in no way affiliated with AARP Services Inc. and do not earn a commission or percent of sales. I only blog about brands and services I trust. It’s all about making guests feel comfortable and welcomed and the golden rule applies to treat them as you’d like to be treated in someone else’s home. A little bit of planning goes a long way and that can be done in advance. What do I always do when I’m planning on hosting a gathering that involves food and drink? Set a beautiful table (no surprise;-), because I believe wholeheartedly that an elegant tablescape makes gathering a joy. Food tastes better when you serve it on pretty plates, so start by shopping your home to see what you have. Plates don’t have to be fine wedding china. 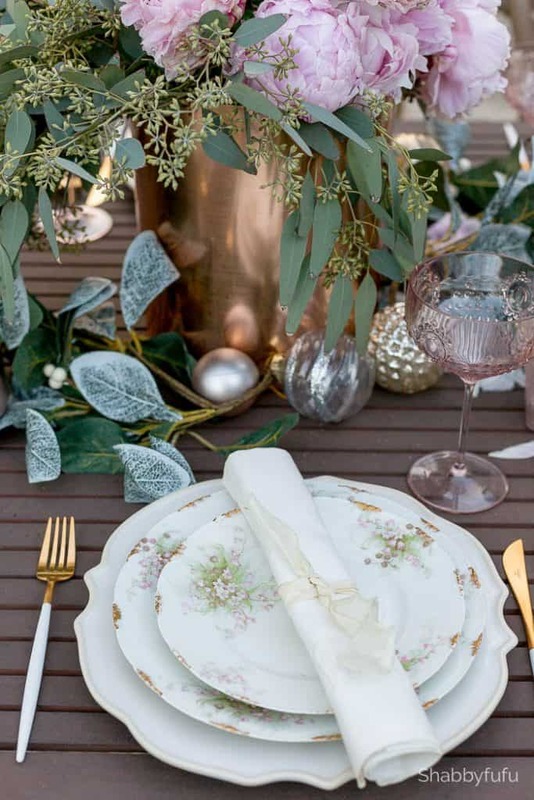 If you are after holiday table ideas on a budget, I’ve talked about SHOPPING THRIFTS and about HOW TO LAYER PLATES that can help you in planning your layout. Fresh flowers always make a holiday table (or any table) sing and I’ll often base the dishes and table linens that I use around floral color. Over the years I have sent flowers to my mom, our daughters and friends and it helps THEM to use their own holiday table ideas on a budget. AARP Members receive 20% off gorgeous holiday bouquets from 1-800-Flowers.com. I tend to go with non-traditional colors for the holidays and these are some of my favorites. 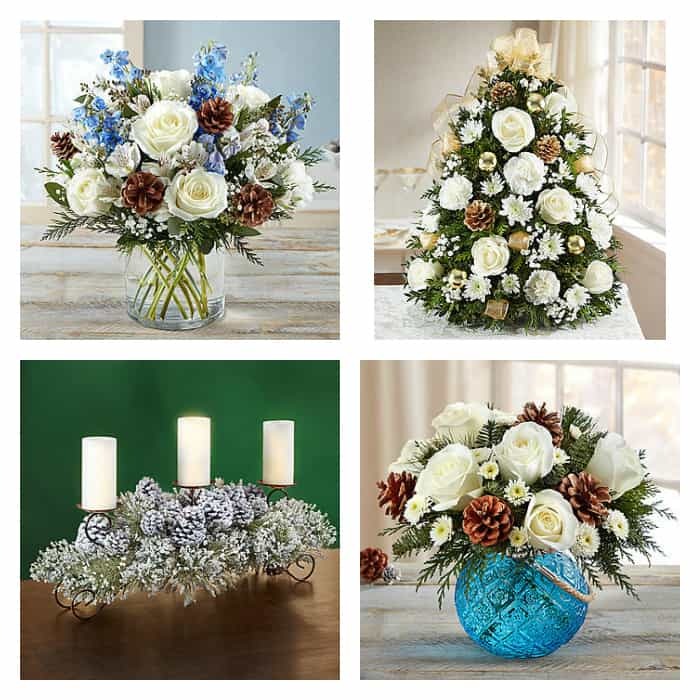 For a Christmas or holiday centerpiece, these bouquets from 1-800-FLOWERS come as arrangements so you simply remove them from the box and you’re ready to go. I love having extra flowers around the house during the holiday and find that when you purchase quality florist items they often last longer. 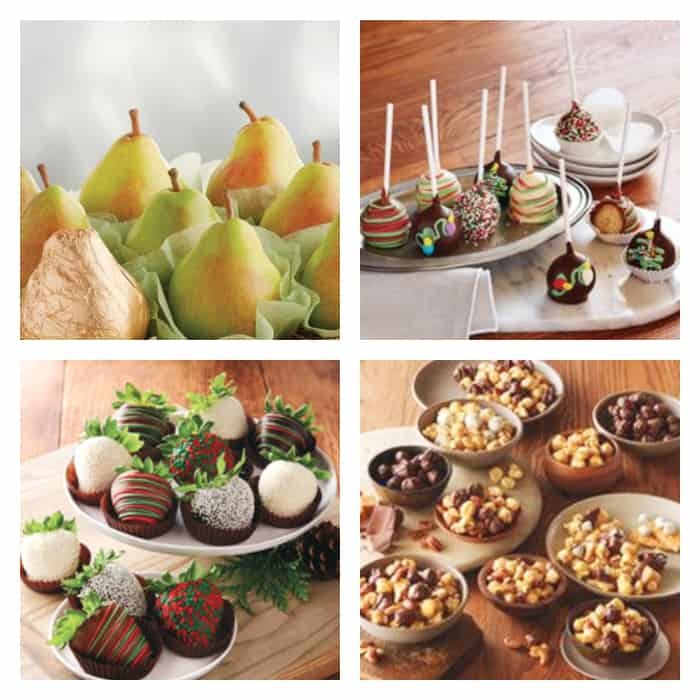 What about throwing a dessert party or inviting friends over for a finger food fest? You can set it and forget it, be more productive and will have more time to sit and relax when everyone arrives. 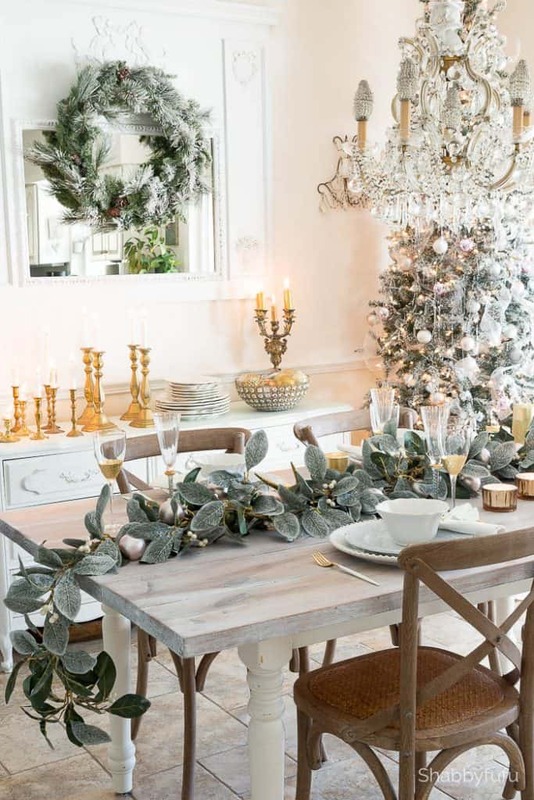 Some of my favorite ideas for a beautiful holiday table are a tray of simple fruits, a variety of cheeses on a board, nuts in small bowls and some crusty breads set on a platter. For dessert it has to be chocolate or chocolate dipped and the holidays are the time to indulge! For many years we would receive a gift basket or two from Harry and David via my in-laws and now we send them to special clients. AARP Members receive a discount of 20% (restrictions apply). 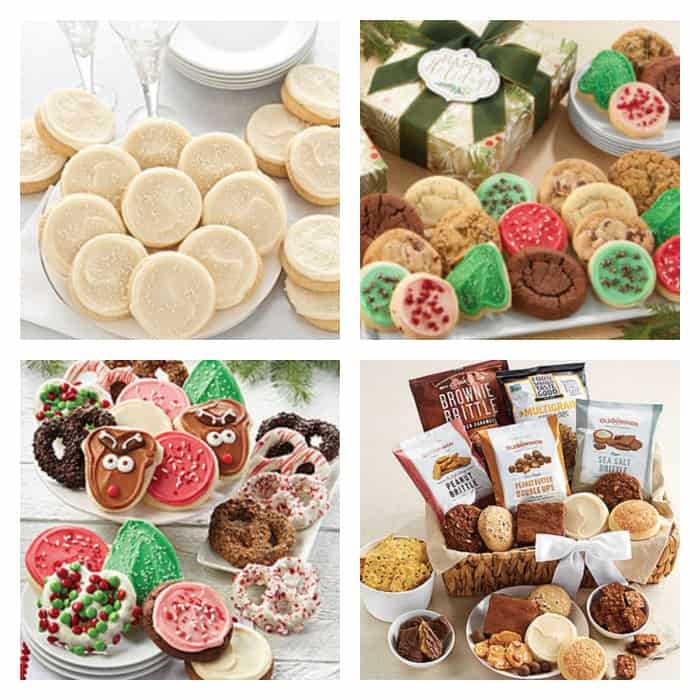 And finally, let’s discuss baked goods and a fun and super budget friendly entertaining idea is to set up a cookie bar on your buffet. Cheryl’s is where I’ve been scouring for cookies and treats and found some yummies above. They’ve been baking for over 30 years and carry everything from award winning buttercream frosted cookies to chocolate covered pretzels and baskets full of gluten free baked goods. Gluten free baked goods are not the easiest to find, and although I serve a mixed bag of bakery items at home I’ve recently gone gluten free and I was thrilled to find them at Cheryl’s! AARP Members receive a 20% discount from CHERYL’S. Investing your time and money in the best ways possible by shopping your own home and with discounts when available are a win-win. If you are a seasoned hostess or just now finding the time as a vibrant over 50 (like me) homemaker, I invite you to check out the discounts that I’ve mentioned above and more at www.aarpadvantages.com! 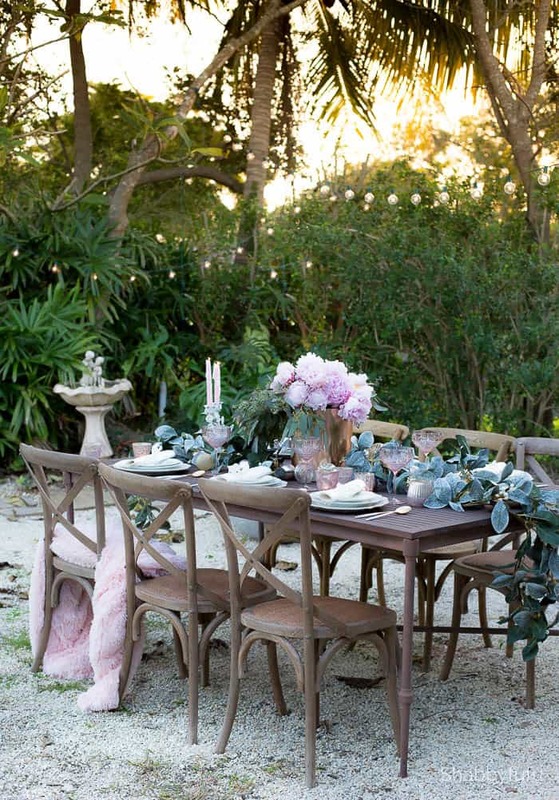 Where is your green garland on your tables from?